In the last decade physiotherapy has gone through a change of perspective on the topic of ‘core stability’ and ‘core strengthening’. Many in the profession now even view the word ‘core’ as something that we shouldn’t use anymore. In this article I want to have a look at why there has been this paradigm shift, where the controversy lies, and give my thoughts around all things to do with the mid-section (formerly known as the core!). What’s wrong with the term ‘Core’? To me this does feel slightly like semantics, but words can be important… The core is often thought of as a barrel with the diaphragm at the top, the pelvic floor at the bottom, and the transverse abdominis wrapping around the the middle, with other muscles (such as your ‘abs’ and obliques) layered over the top. 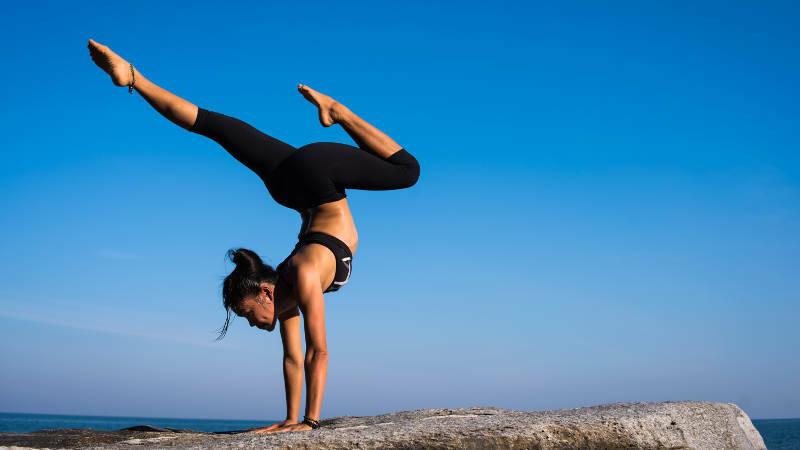 The core theory suggests that these deeper muscles work to stabilise and maintain the pressure and rigidity internally, whilst our limbs do their thing (lifting, jumping, landing, balancing on one leg, throwing etc.). The problem with this theory however, is the separation of this underlying ‘core’ from everything else. The current thinking (which isn’t quite as simple and tidy) is that it’s not just one group of muscles that has the specific function of adding stability. Pretty much all our muscles throughout the body can play a role in stability; switching on and off as required to help us perform different tasks and movements. At this point I want to make an important distinction; when discussing the shift in thinking around core strengthening and stability, I am referring to its perceived benefit for the treatment of back pain, and not its use in the sporting world or fitness industry. The idea of training the muscles around the trunk to deal with back pain comes from the idea that the spine is an inherently unstable and delicate structure that needs muscles to work hard to keep us standing upright, bending safely, and pain free. In actual fact, it has been shown that the amount of muscle activity around the trunk required to stabilise the spine is very low, and therefore weakness of the trunk muscles is unlikely to be a cause of back pain. Focusing solely on this as treatment therefore may not help people recover faster, prevent future injury or reduce pain. The presumption that we need extraordinarily precise and efficient stability from the deeper layers of the trunk is also questionable as there has been shown that even people with damage of these muscles do not actually have any increased chance of getting back pain. I now want to have a look at some of the different types of exercises that have traditionally be used by us physiotherapists, and where they might not be 100% helpful. Training the transverse abdominis has long been a part of our repertoire of exercises. The theory goes that you can isolate the deeper layers of muscles by paying close attention to your tummy, and through using different cues and prompts get them to switch on and off more efficiently. Firstly theres the question of if this is actually possible, but my main thoughts are that trying to isolate it may not actually be 100% helpful. Many people with back pain are often already hyper-vigilant and overly aware of everything going on around there trunk. Getting someone to pay even more attention to their ‘core’ may not always be the best idea as it can just compound the problem. Some even hold the belief that trying to do things such as draw the tummy in when sitting or when simply bending to pick up a pencil off the floor will help provide some protection. I believe this can lead to more issues with movement, hindering us more than helping. Planking is still popular among in the fitness realm, but prescribing them to people with back pain should be thought over very carefully. Planking and its variations have often been given out under the presumption the we need to get better at holding our mid-section fixed and build it’s strength endurance. The problem with this however (that was raised by Prof. Peter O’Sullivan), is that people with back pain already tend to have overactive trunk muscles that don’t switch on and off like they should do in healthy pain free individuals. Adding more tensing and muscle activity might actually impede normal movement and make things feel worse, not better! Im thinking here of exercises such as the ‘bird-dog’ on all 4’s. Whilst I don’t think theres anything particularly bad or harmful with it, I think there are other things that people could be doing with their time that are more helpful. A growing body of evidence has shown that doing a program of core stability exercises to help back pain has no additional benefit above and beyond that of any other kind of exercise. The take home message here is; if you want to do them, fine. But you would get just as much out of going for a walk or going swimming. To improve compliance.. some people just love working the core! Some people might have a particular desire to do ‘core work’ if they are into their fitness. In this situation I often offer alternative exercises that might get things working without compounding rigidity or making them focus too much on isolating the minutia of how their tummy is contracting. Trying work round someones lifestyle and hobbies can make them more compliant with the other things I might want them to do. Looking at how the trunk moves in conjunction with the limbs can often highlight some odd movement patterns. For example, a common issue I see is the overuse of back muscles in every action someone does, with nothing going on at the hips when bending or lifting. In this situation I find teaching exercises like a glute bridge (which has often been classed as a core exercise) helpful to start to get some dissociation of movement between the back and hips and get their glute muscles working better. Progressing this on to doing squats and other more full body functional movements that can help reduce the overload on the back, by getting other things to help out more. Having mentioned at the start that this article is focused purely on core work and its relevance to back pain, and not to sport and fitness, there is a place for its use bridging the gap back to a sport or skill after a back injury. For example, if someone plays golf and they need to get back to driving a shot at full force, I may get them doing something in standing, working on building the trunk rotation with good range of movement, slowly building speed and the force they produce. In this situation I try to keep the exercises I do as similar to the skill someone might be performing, so that the potential for carryover is much higher. In my opinion getting someone to hold a plank for 2 minutes when they need to be standing and twisting is less than useless. To just get people active! With back pain (as well as many other conditions), some people just need to increase there general capacity for exercise and improve their fitness but can find certain types of exercise difficult with the pain they have. For example if someone is struggling walking or cycling for an extended period of time (because of it’s monotonous nature), I might put together a simple circuit program that gets them doing upper and lower body exercises along with some variations of traditional ‘core exercises’ (whilst trying to avoid the negative points mentioned previously) simply to add variety and get them working in different positions. So that wraps up my thoughts on all things to do with ‘the core’. In summary I agree that we should try and move away from the term ‘core’ as it is tied into outdated ideas that don’t fit with the current accepted thinking. Whilst there are some versions of trunk exercises that can be counter-productive, avoiding all exercises related to the trunk without considering an individuals problems and needs, might mean you miss an opportunity to help someone more.